Zolmitriptan is used in the treatment of migraine. It belongs to the "Triptan" class of medication which are known as 5HT (Seretonin) receptor agonists. It is not fully understood how migraines come about, however it is thought that widening of blood vesels during a migraine, send messages to the brain, causing the release of substances responsible for pain, nausea and other symptoms that are experienced with migraines. ​Zolmitriptan acts on Seretonin (5HT) receptors in the brain, which constrict blood vessels, stopping these messages from being sent, blocking the release of substances that cause migraines. It has also been suggested that zolmitriptan acts on the trigeminal nerve, which plays a role in relaying pain impulses from your head to your central nervous system (the control centre in our body which processes and registers how we feel pain). What is the difference between zolmitriptan and sumatriptan? Due to their similar ways of working in the body, there appears to be very little that separates zolmitriptan from sumatriptan. 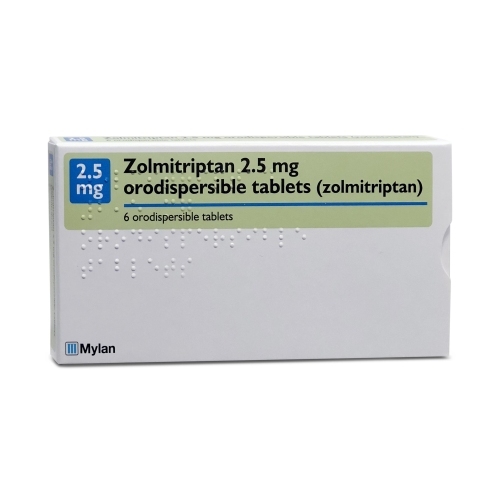 Clinical studies have also demonstrated that there is no significant difference between zolmitriptan and sumatriptan, however it has been suggested that zolmitriptan is slightly more effective for those experiencing migraines associated with mensturation. Zolmitriptan and sumatriptan are available as both tablets and nasal sprays, with zolmitriptan also offering an orodispersible form that can be left to dissolve on the tongue. This may be useful for those not able to consume any fluids or swallow a tablet during a migraine attack. When should I use zolmitriptan? Take zolmitriptan at the first sign of a migraine attack. Zolmitriptan is also effective when taken once a migraine attack is underway. If you have taken zolmitriptan and experienced relief, you can take another tablet if symptoms reappear, only if it has been two hours since you took the first dose. If your symptoms did not improved after having taken the first tablet, do not take a second one. Take one tablet of Zolmitriptan when the first sign of a migraine appears. Food does not effect the absorption of zolmitriptan, so it can be taken on an empty or full stomach. If full relief has not been experienced, or the migraine has returned and it has been two hours since you took the first tablet, you may take a second tablet. How long does Zolmitriptan take to work? Zolmitriptan tablets take around 30 minutes to work. They are also available as a nasal spray (Zomig Nasal Spray) or orodispersible tablets (Zomig Rapimelt) that have a faster onset of action. What if Zolmitriptan isn't working for me? If zolmitriptan hasn't been effective for you, there are other options such as trying a higher dose, trying another form of treatment (such as the nasal spray) or exploring different treatment options (such as sumatriptan or rizatriptan). Some studies suggest that taking an NSAID (non-steroidal anti-inflammatory) such as ibuprofen can have an enhanced effect on reducing the symptoms of migraine. Can I use Zolmitriptan to prevent migraines? Zolmitriptan does not work to prevent migraines. It is only effective in treating the symptoms of a migraine once it has begun. Can I use zolmitriptan for headaches other than migraines? Zolmitriptan will only work to treat the symptoms of migraine. It should not be used to treat stress or tension headaches or any other type of headaches. What symptoms does zolmitriptan treat? 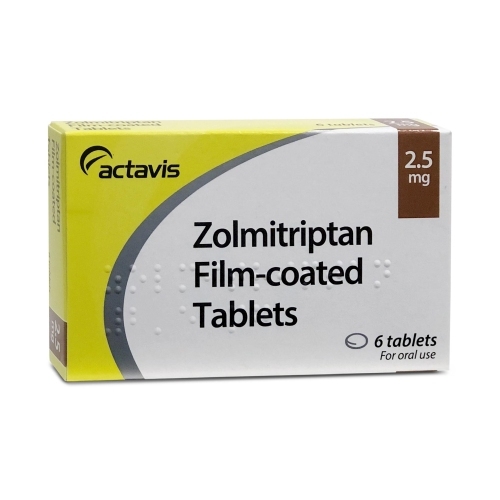 Zolmitriptan helps to relieve the symptoms associated with migraines such as headache, pain, sensitivity to light and sound, nausea and vomiting. 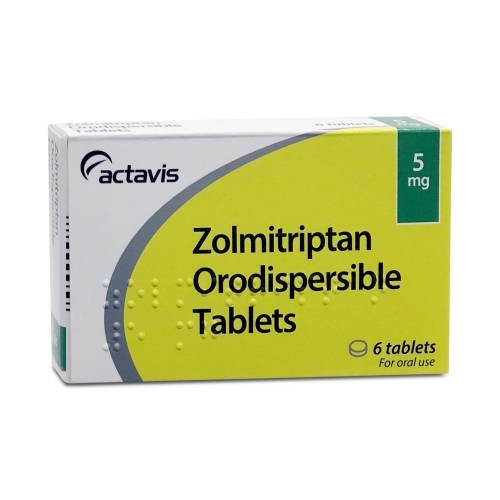 Our service allows you to buy zolmitriptan online at a competitive price. Before our clinicians can prescribe this, you will need to fill out a short online questionnaire, which will determine your suitability for this product.